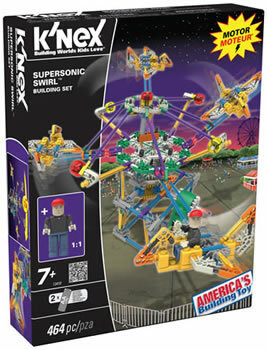 Build the space-themed fairground ride, the Supersonic Swirl, and watch the motor spin the four jetplanes around at high speed. 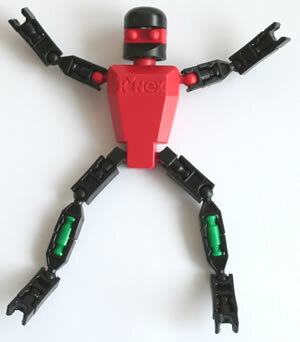 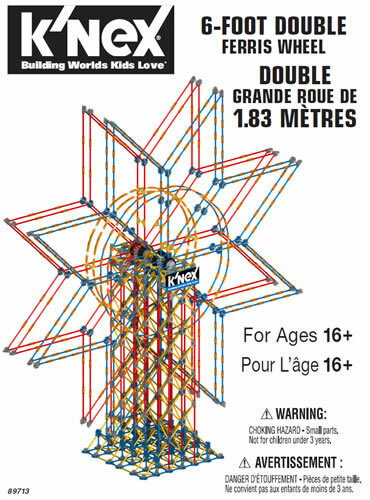 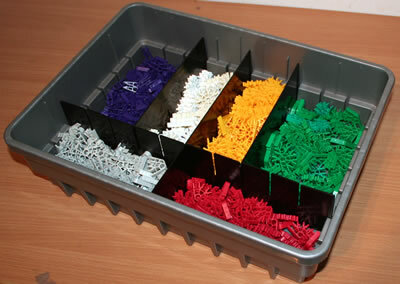 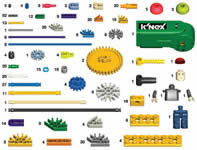 Set includes a lifelike K'NEX person. 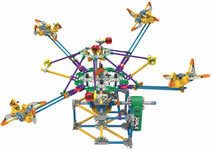 Click here and enter set code 13410 to download all the instructions for this set.